Dear friends and fellow foodie-sailors! We are back on the water! In Puerto d’Andratx-Mallorca at the moment, enjoying first sun and sailing fun of the season. 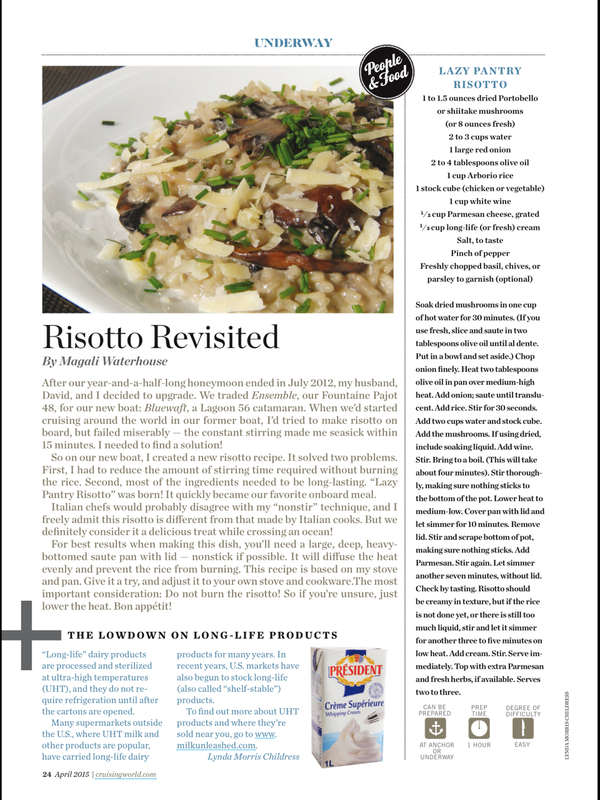 Let’s kick-off with my LAZY PANTRY RISOTTO recipe, published now in the April Cruising World edition. So this is a recipe not just for sailors, but for anyone feeling like comfort food at home, without the need to rush to the supermarket. It’s no great effort in the kitchen/galley. Enjoy!